Eloise and Nanny throw Weenie a surprise birthday party in this hilarious Level 1 Ready-to-Read that’s perfect for emerging readers! It’s Weenie’s birthday and Eloise NEEDS to throw him a party! With the help of Nanny, Eloise throws Weenie a surprise party and every person and dog in the Plaza Hotel is invited. 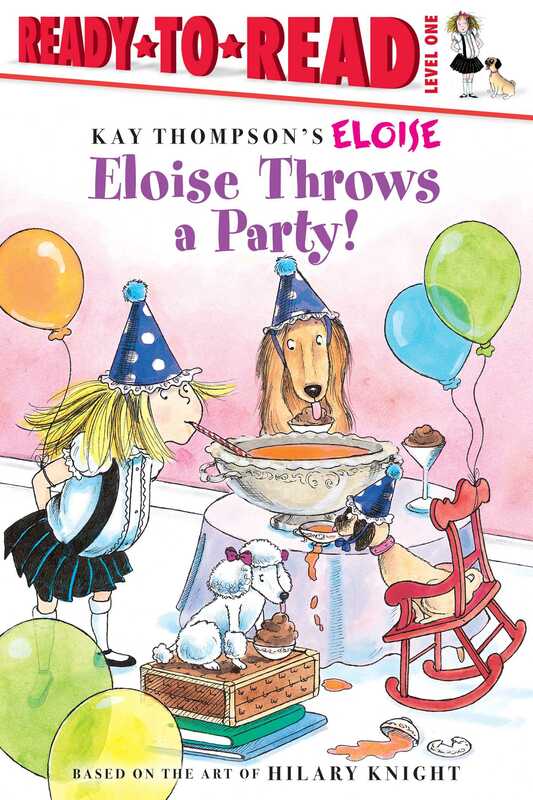 Book Cover Image (jpg): Eloise Throws a Party!